Are you looking for love? Having trouble finding that special someone? Online dating websites have become increasingly popular over the last few years as technology and social networking have become a more important aspect in our daily lives. Advertisements on the Internet and television target many people, and now they are stating that more and more people are starting relationships online. Current well-known online dating websites include Match.com, okcupid, and datemyschool. Match.com, known for their advertisement phrase, “1 in every 5 relationships starts on an online dating site,” started in 1995. It now provides services to millions of people in more than 24 countries. Match.com also charges fees for their services. Although there are many people that depend on this website and others to meet someone, there is still skepticism, especially in college students. “College students would not benefit from dating websites because we are here in a place where we can meet people,” says Olivia Luyckx, a first-year student at University of California, Santa Barbara. 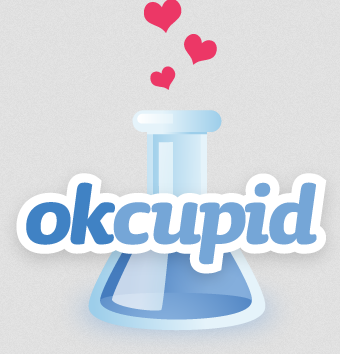 Okcupid is another dating website that is growing in numbers. It is free to use and gives the user detailed explanations of how they match people with each other. However, according to the University of Arkansas, some websites use false advertisements. The average eHarmony marriage only lasts about six months, but since eHarmony has patents on the questionnaires that determine who is matched with whom, the information about how they match people is not made available. This is only one example, but it suggests that online dating could be questionable and possibly untrustworthy. “It seems like the person is not really there,” said Maurina, a first-year at UCSB, commenting on the idea of meeting and dating someone online. Recently, online dating has gotten major attention because of a new show on MTV called “Catfish.” The host found a person online who he really liked, but it turned out to be a lie when he actually went to go meet the woman. Although he was heartbroken they soon became friends, and the host then starting helping other people find their online lovers. Sometimes the situations have a happy ending, but there can be situations in which people lie about who they really are. Many people have become too trustworthy of the Internet and forget that you could become anyone online. A fairly new dating website, Datemyschool, was created exclusively for college students. Its structure is very similar to that of Facebook in that one can post something for everyone to read. People can also comment on one’s posts or they could press the star, which is something akin to the “like” button on Facebook. Even though Facebook is not a dating site, it is a social network that allows people connect with others. One also has to think about our society and how we are becoming a population that is more Internet-dependent and less focused on physical contact. There is no need for someone to come into physical contact with another human being when everything is just a click away. Online dating sites are a way for people to connect with each other without going through the trouble of getting ready and looking presentable for someone else. The person can get to know someone else in the comfort and privacy of their own home. The convenience of dating sites is certainly appealing, but are we really finding our true soul mates? Mitch, a first-year at UCSB, is not entirely against dating sites but does not find them personal or real. Since online dating is fairly new, we don’t see the long term effects of being in a relationship that started on the Internet. But with our ever-growing technology and our society’s obsession with social networking, it is possible that online dating just may become the new way to date.